Cadet attends a Krept And Konan gig after-party on October 25, 2018 in London. Up-and-coming UK rapper Cadet was killed in a car crash in England's West Midlands region in the early hours of Saturday, police said. The 28-year-old, real name Blaine Johnson, was being driven to a gig at Keele University in Staffordshire at the time, Britain's Press Association news agency reported. A statement on Cadet's Instagram page, cited by PA, said: "We the family of Blaine Cameron Johnson known as Cadet (Underrated Legend) would like to share the sad news that during the early hours of 9th February 2019 he passed away as a passenger in a taxi, en route to a performance. Cadet performs on stage at the O2 Shepherd's Bush Empire on November 26, 2015 in London. Staffordshire Police said the rapper died at the scene following a collision between a taxi and a van in the village of Betley. Police are investigating what led to the crash. Keele Students' Union said it was "deeply saddened to hear the tragic news that Cadet passed away en route to Keele" and offered condolences to his loved ones. 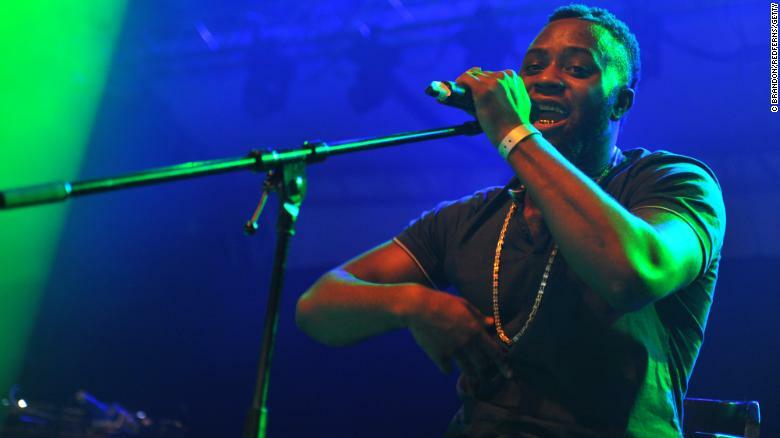 Fellow artists paid tribute to Cadet, who was from south London and had previously supported London rap duo Krept And Konan on tour. Example said he had been chatting to him only last week about festivals he was going to play in the summer. "So much positive energy. Smiling nonstop when I was with you, first time we met I felt as if I'd known you my whole life. Mad humble guy. RIP Cadet." DJ Semtex said he had been on stage with Cadet last week and couldn't believe the news. "Never seen a man so happy. Everything was working out for him. This was gonna be his year. We were plottin on the best time to do an interview on his next single," he tweeted. Cadet was due to perform at the Wireless Festival in London in July. Festival organizers said they were saddened by the news of his death. "We'll be keeping his Wireless performance as a time to reflect on the memory of Blaine," the official festival Twitter feed said.